The regulations regarding park models means the legal limit of their size is 400 square feet (37.2 square meters) due to them being registered as recreational vehicles. Many manufacturers will work to the limit of this regulation, offering floor plans which just meet the legal requirement in order to maximize the space available. 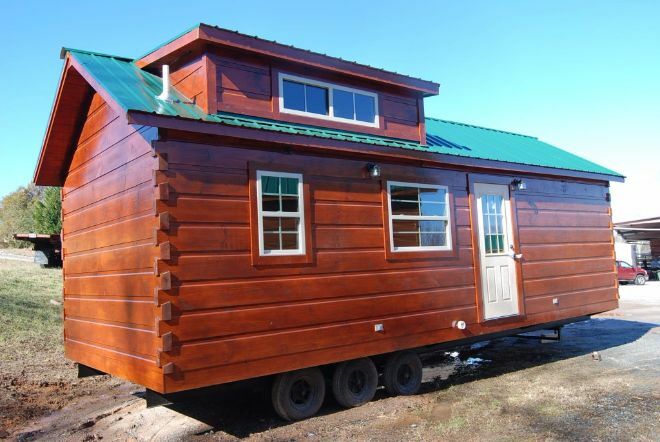 But what if a full-sized park model is too large for the area you want to place your cabin? 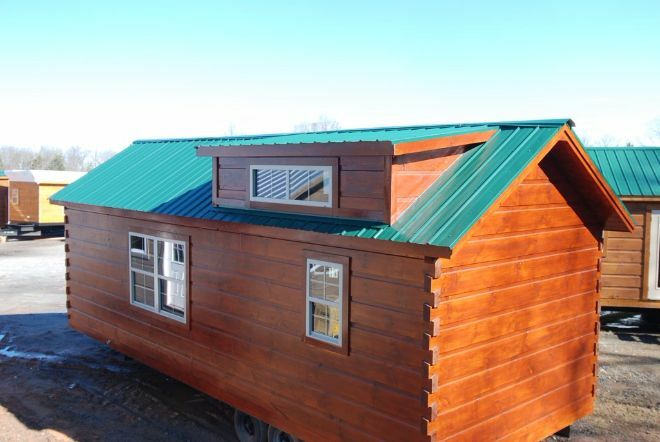 There are smaller park models available on the market, for example, the Cutter by Mountain Recreation Log Cabins covers 360 square feet (33.4 square meters), with a length of 30 feet (9.1 meters) and a width of 12 feet (3.7 meters). The Cutter has an attractive rustic finish with dark-stained wood paneling. This park model will look great in the woods, and is a perfect alternative to building a static log cabin. 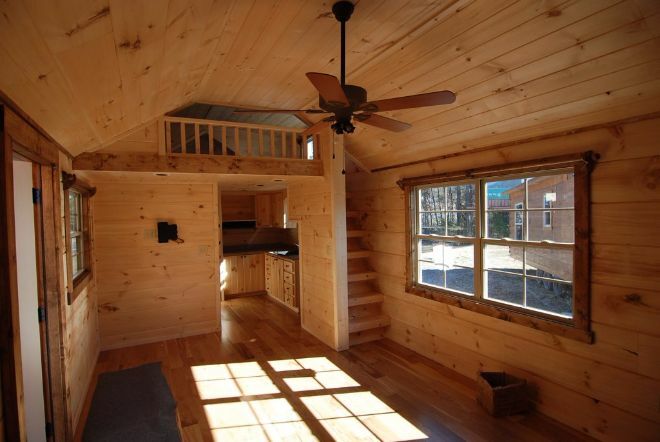 The Cutter has a loft area which is lit by two shed dormers - one on either side of the cabin. The robust wooden exterior will age well in a natural environment, taking on the grain and details we love to see in a rustic retreat. We step into the Cutter via the side door, entering an open-concept studio floor plan. 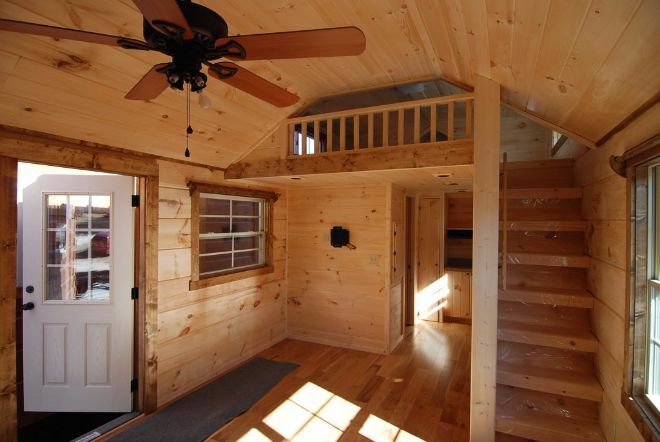 The cabin is lined with attractive wood paneling along the walls and ceiling and hickory hardwood for the flooring. The staircase leads to a spacious loft area which is ideal for storage or as a second bedroom. The loft benefits from the cathedral ceiling, making it less confined than those found in some park models. 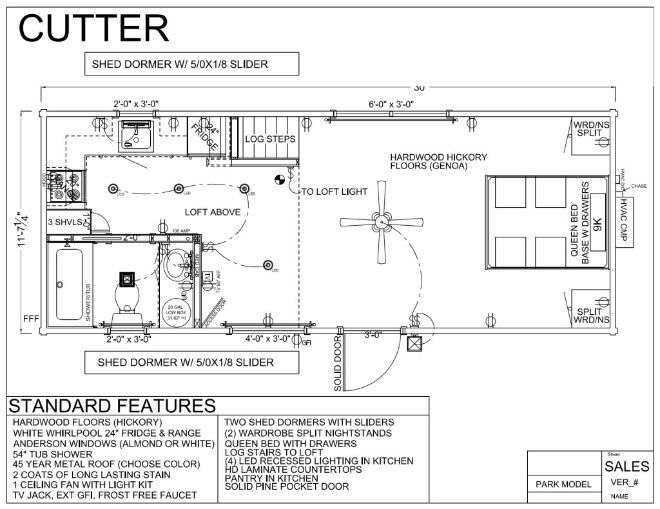 The L-shaped kitchen is located at the back of the floor plan. It is a spacious room which is separated from the main living area. 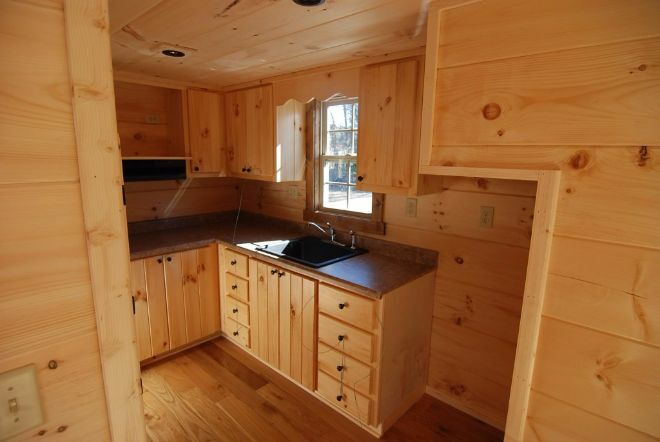 The kitchen comes complete with attractive cabinetry, modern appliances, and a designated pantry. 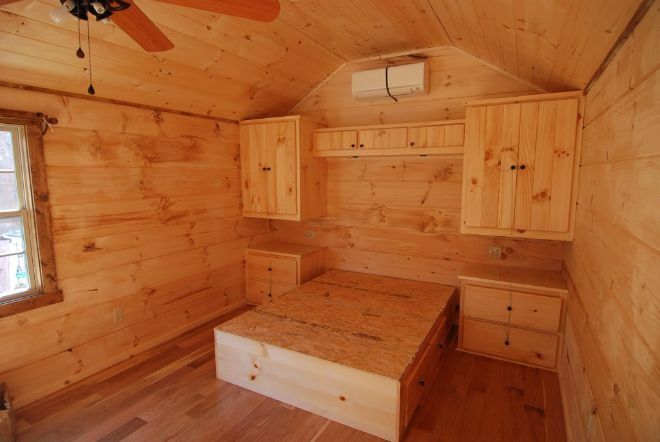 The main bedroom - located at the front of the floor plan - includes the space for a queen-sized bed and has plenty of built-in cabinetry to store your personal items. You can clearly see how the Cutter is arranged on the floor plan below. Does the Cutter do it for you? 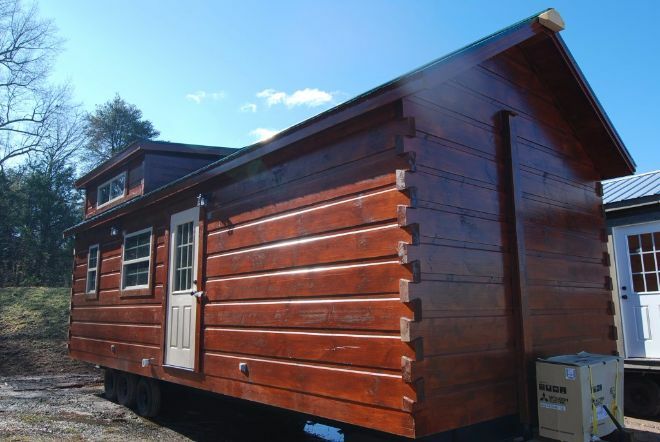 SHARE this tour with your friends on Facebook, SHARE the cabin with other log home enthusiasts! A lake to the front and a creek at the rear. Incredible custom-built finishes throughout; what's not to love here? A two-bedroom park model with a spacious feel.